Lloyd 65 is a brand new Freehold apartment building with 76 units of mainly one to four bedroom unit mix. This freehold condo is located along 65 Lloyd Road in prime District 9 of Singapore. 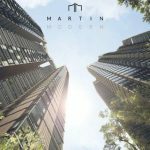 This brand new development is within close proximity to the Orchard Road shopping belt and not forgetting there are lots of popular eateries nearby too. Daily grocery shopping is also made easy as you can visit a nearby Fairprice supermarket along Killiney Road or buy some drinks at the SPC petrol station just minutes’ walk away. This luxurious development comes with high ceiling of 5.9 to 6 meters. On top of this, Lloyd 65 is cladded with quality finishes such as white oak flooring. Top brands like Miele kitchen appliances are also provided with each unit.